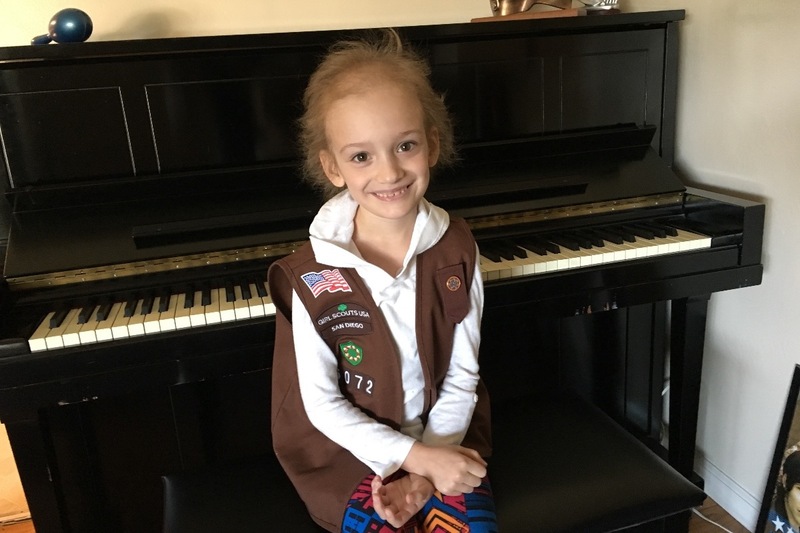 Fundraiser by Kirsten Bates : Help Julia Fight Cancer!! 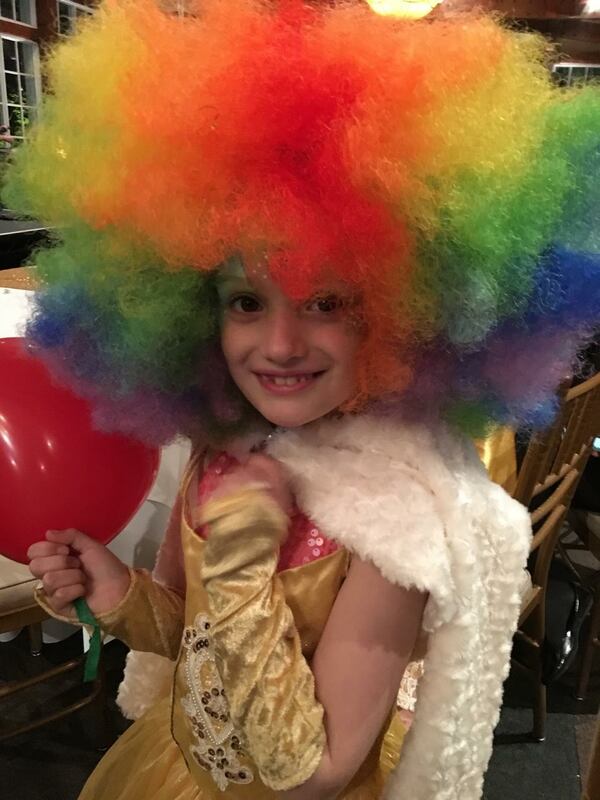 At six years old (in April, 2015) Julia was diagnosed with Stage IV, High-Risk Neuroblastoma, an aggressive pediatric cancer. 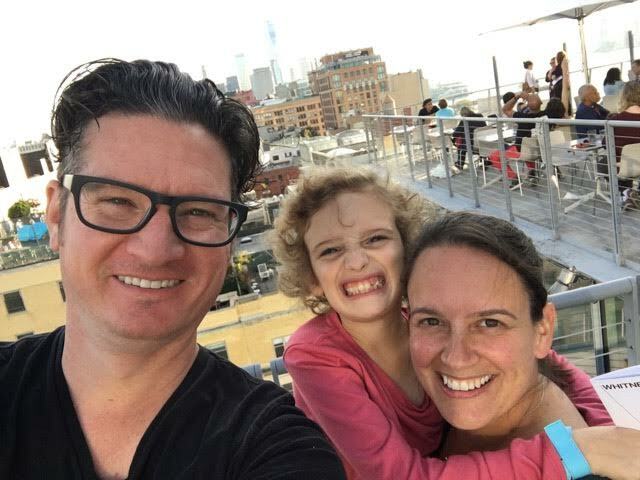 After multiple surgeries, chemotherapy, immunotherapy, radiation treatments, and a clinical trial at Memorial Sloan-Kettering in New York she is now cancer-free, but is required to continue with follow-up care in New York to ensure the cancer doesn't return and monitor the long-term effects of the toxic chemo. 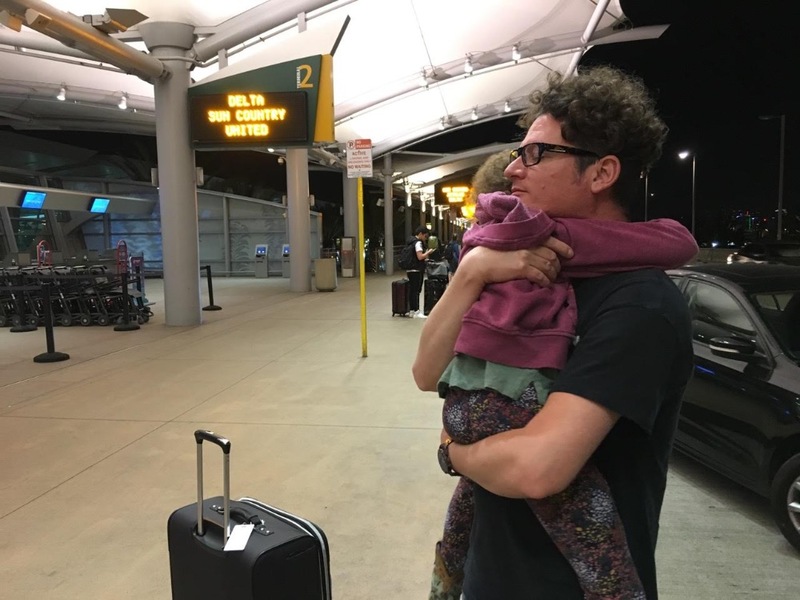 Julia has had to travel with her parents from San Diego to New York every 10-12 weeks since March of 2017. 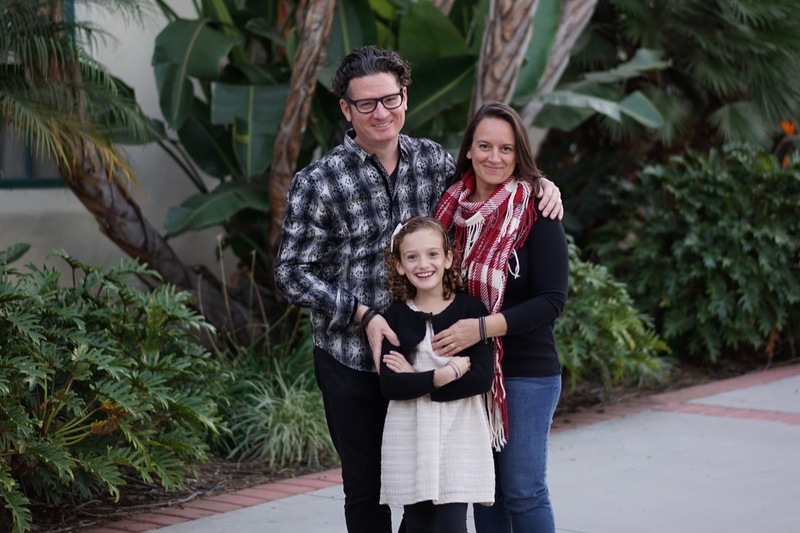 Almost 2 years of cross-country travel (and over 3 years in treatment total) has meant loss of work, and a difficult financial burden for the Davidson family. We are raising funds to help them cover the cost of travel, treatments, and related expenses. As we reflect upon 2018 it's hard not to feel blessed. Jessica and Julia returned from New York on December 21, just in time for us to celebrate our 11th wedding anniversary together the next day. It was also a celebration of almost three years of 'no evidence of disease' for Julia, as scans this time were once again clear. Although Julia is cancer-free we received a bit of slightly concerning news. Back in March we met with the long-term care team at Memorial Sloan-Kettering in New York for the first time. We were told that Julia had a spot in the middle of her brain that lit up differently on the MRI scan. Apparently it had been there since her first MRI, April, 2015, but was never mentioned. They assured us it was nothing to be concerned about, likely a congenital abnormality similar to a birthmark. But they wanted to keep an eye on it anyway. This most recent MRI of Julia's brain showed that it has grown slightly, and they want to do another MRI of her brain in three months to monitor it's growth. 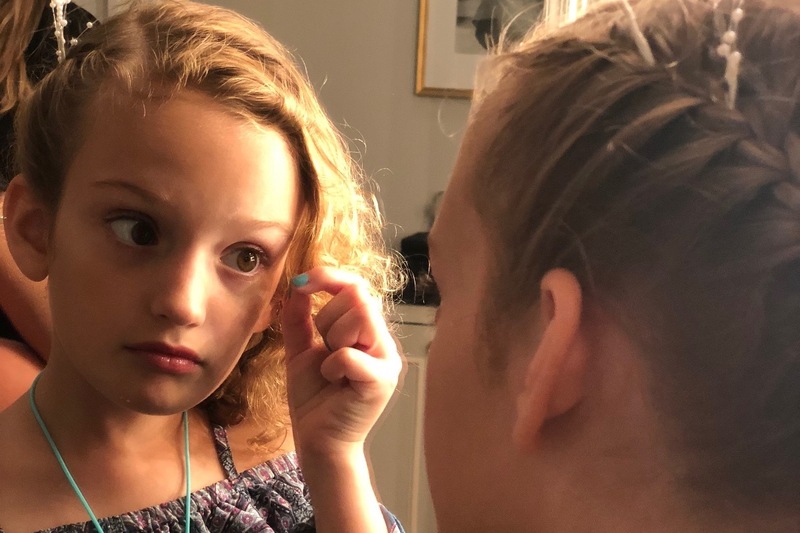 Despite their assurances and no symptoms detectable by the neurologist, the fact that there is an abnormality they want to watch is frightening. As you can imagine we have already become hypersensitive to any cough, pain, or fever, but now we have been faced with another clinical unknown. Please keep Julia in your prayers and we will keep you posted as we learn more about this growth. We have included the MRI report impression at the end of this update If you're interested. Often times we find ourselves counting our blessings because of how well Julia has done through all of this. And we pray daily for our dear friends who are still in the thick of it, fighting similar battles yet each with a different story. It's a sobering reminder of why we cannot become complacent, yet at the same time have little control over what the future will bring. But one thing is for sure, our faith remains unshaken and our love never stronger. We are forever grateful to the many people who are helping us through this, and so lucky for the many blessings that have come out of this. We hope that you are having a wonderful holiday season with friends and family. Merry Christmas, Happy Hanukkah, and a very Happy New Year! 2. No intracranial neuroblastoma brain metastases. Hello friends and family, it's been a while since we sent out an update on Julia and we wanted to start by letting you know that she is still cancer-free. 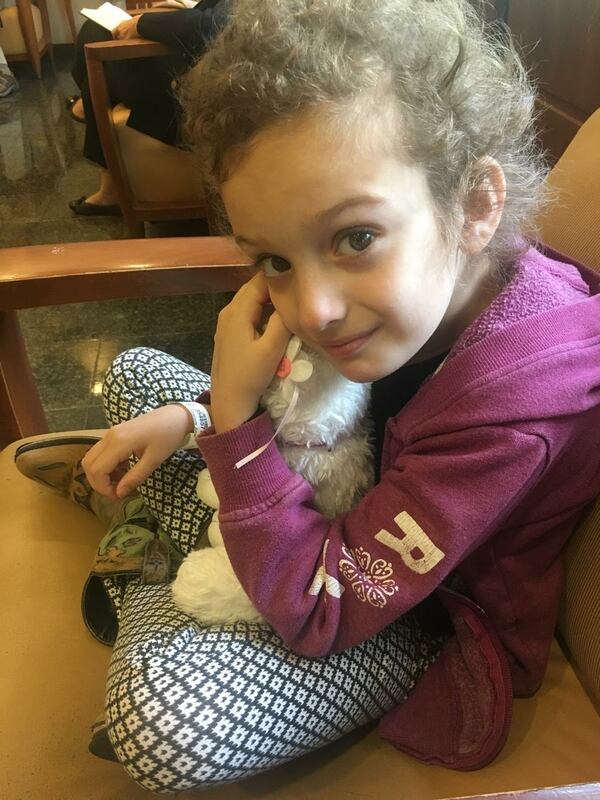 We have been traveling to New York every 10 to 12 weeks since March of 2017 for treatments, tests and scans at Memorial Sloan-Kettering Cancer Center and we are happy to announce that on March 8th, 2018 she received her final dose of their vaccine trial. We met with MSK's long-term care team in May, and again middle of last month. Each visit had it's own variety of appointments including blood work, MRI scans, dental, vision, dermatology, and other tests. They will be monitoring her thyroid function, neurological and physical development, and reproductive system; all which can be disrupted because of the toxicity of chemotherapy. Our visits to New York will continue every three months for now. Since Julia's diagnosis 3.5 years ago we have tirelessly sought out the best treatment options for her. Many times it has not been easy, and we are eternally grateful to those who have helped support us. You have, quite literally, contributed to saving our daughter's life. As we continue to rebuild and work toward some sort of normalcy she is a bright reminder of what is truly important in life. She started fourth grade this month and continues to amaze us with her growth and maturity. September is Childhood Cancer Awareness Month and we wanted to take a minute to acknowledge the many kids who have been affected by this horrible disease. Many have become close friends of ours. Some doing well, some still fighting, and a few who have become angels. Please keep these kids and their families in your thoughts and prayers. "They ride tricycles in the hallway, not in the park. They know the names of their chemos instead of their classmates. Their central lines have names. Nurses and doctors are their new family. They think hair is overrated. Their laughter can make a heart melt. Their strength will make a grown person cry. If you've ever seen a kid fight cancer, it will change your life forever." Hello friends and family. We are here in New York again for Julia’s vaccine injection and battery of scans. Today was her MIBG scan (a type of nuclear medicine imaging). I’m happy to share that her scans came back clear. One can imagine the amount of anxiety we feel awaiting results, and the sense of relief upon hearing good news, at least until the next round. These scans will continue every three months for another two years or so when they feel they can start backing down to a less frequent schedule. We fly home tomorrow but all of her followup care will occur in New York for the foreseeable future. 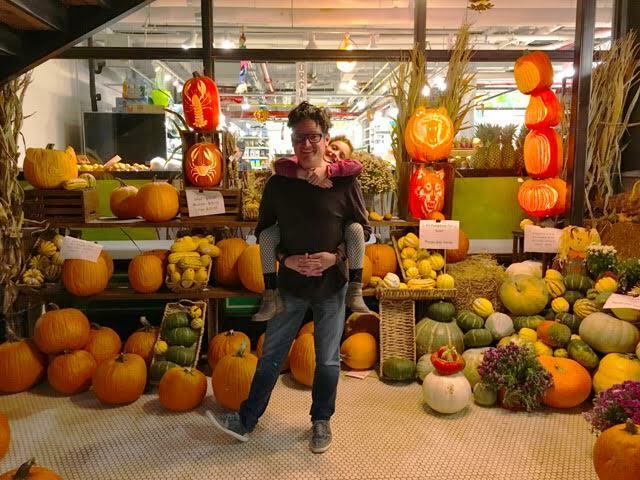 While in New York we are able to stay at the Ronald McDonald House on the upper east side of Manhattan, only a few minutes walk to Memorial Sloan-Kettering Cancer Center. It’s great to be surrounded by other families going through similar situations. Hearing everyone’s stories reinforces our belief that we are in the best place in the country for Julia. It’s amazing how many of us can relate to each other and what brought us here. Each time we visit New York we try to do something fun. This trip was no exception. Two highlights were going to a NY Islanders game and seeing Wicked the musical. Of course we spent time with Uncle Brandon and explored the city. Thank you for your incredible support through all of this. We could not be doing this if it wasn’t for the help of our community and friends. The financial contributions help tremendously, and the prayers and positive thoughts are most appreciated. Also, here is a video I made of Julia at the Islanders game. We won and she was so excited! 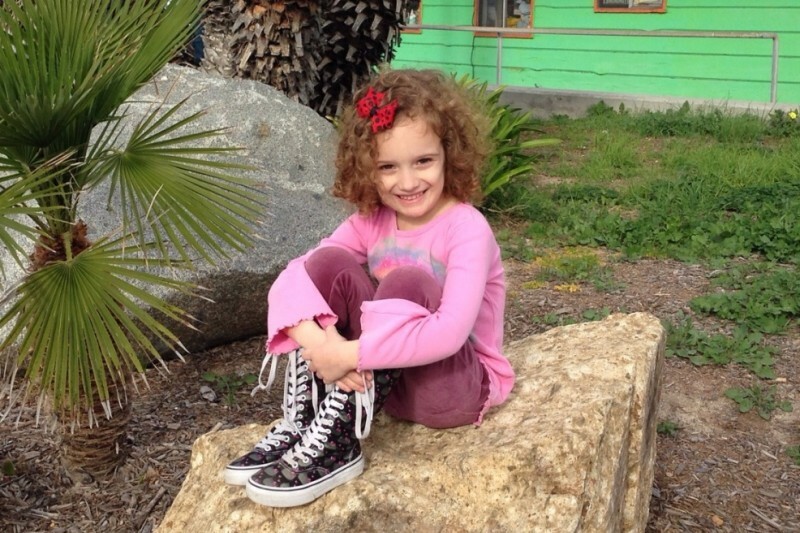 If you are able, please consider making a contribution to Julia’s fund. Every bit helps. For those of you who have donated - thank you so much. As I mentioned we couldn’t be doing this if it wasn’t for the help like yours. 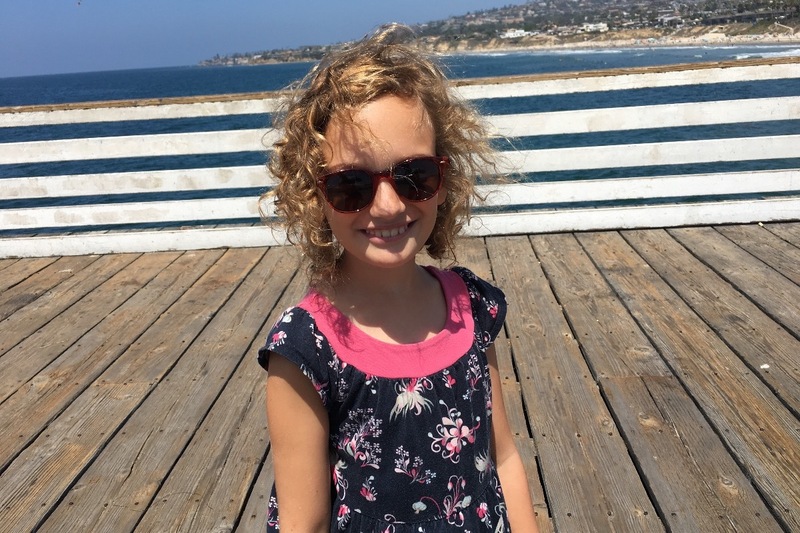 Julia started the Neuroblastoma Vaccine Trial at Memorial Sloan-Kettering in New York in March. We have traveled there four times in the last two months. We will be required to return every 10 weeks during the trial for a full workup (scans, etc). We have been fortunate to be able to spend some time with Uncle Brandon each visit (he works just a few blocks from the hospital there). 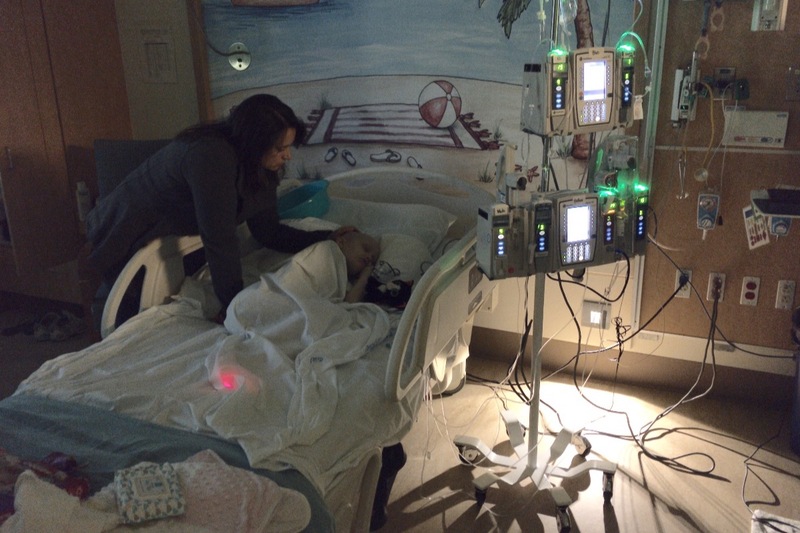 The vaccine trial involves a series of injections which stimulate her immune system to produce antibodies which recognize and attack any newly forming Neuroblastoma cells. The basic idea is to prevent relapse, which is still a major concern at this time. However, Julia's last visit to New York was a week ago and we are happy to announce that she still has no evidence of disease. Scans were clear! Another piece of wonderful news, she got her central line removed! After two years she can finally get wet! That means she can take a regular shower or bath, and can go swimming again. But she doesn't want her cousins to know yet. She wants to surprise them by jumping in the pool at the next family gathering. So (brothers and sisters) don't tell the kids just yet. We are so thankful for the support of our friends and family through this incredible experience. Julia is doing very well. 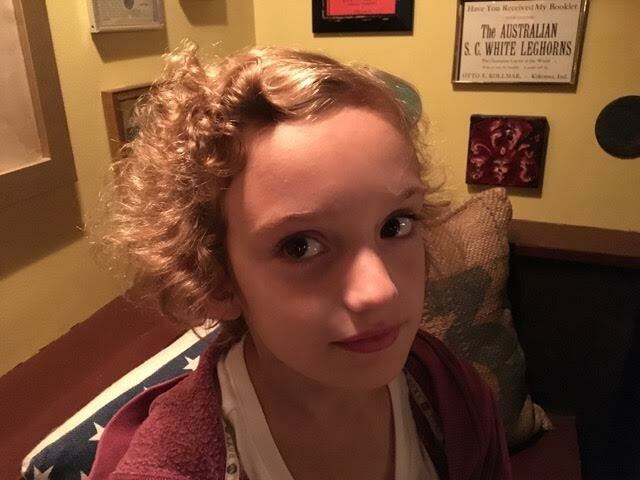 Her hair is coming back curly and she's even started to show some eight-year-old sassiness. All is good so far. Thank God! See, Julia's hair is growing back curly! Saying goodbye for a week. Waiting for scans to start. Huzzah! Congratulations on the continued progress, you three! No matter which of her talents she chooses to pursue, here's to Julia's inevitably bright future! She sings beautiful....Glad to see she is doing better! Great meeting you and your mom Julia on the Southwest flight to LaGuardia. I hope you got to see the Rockefeller Center tree & had a hot chocolate!!! Very Merry Christmas to you & your mom and dad. Todd and Jessica. I am so happy with this news. I will never forget when you performed at the Philoptochos event last year. Julia's sweet voice. I pray God will continue to bless your whole family. Keep smiling! We love you all. We love you guys. Keep on fighting.